You know the familiar call to battle? ROAD TRIP!!!!! I always love to take road trips because of the excitement that is causes. The planning is almost as much fun as the trip. 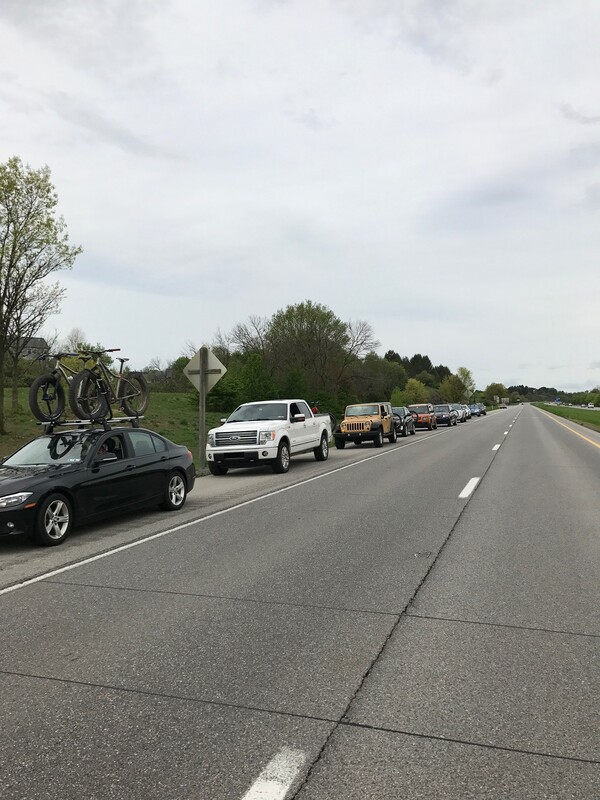 ” What are you bringing?” “When do we meet?” “Where are we staying?” “Who all is coming?” The emails and phone calls start flying and the excitement crescendos when the vehicles are all lined up and rolling. Sometimes you join in the caravan of fun from another location – bike racks loaded, your favorite music blaring. Road Trip!!!!! I like road trips also because I can spread out my gear. I don’t have to have it all consolidated on a plane and can take my time enjoying the ride with my top popped, sun glasses on, and my favorite music making me tap my toes and bang on the steering wheel. 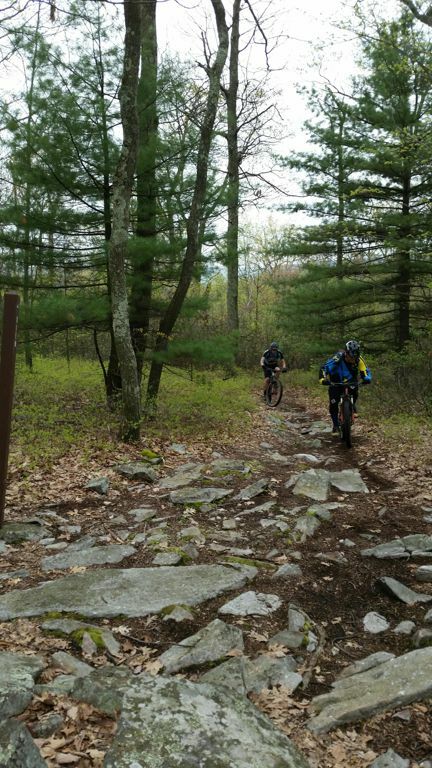 This past weekend was no exception as my mountain bike group converged on State College, Pa. to take on the heralded Coopers Gap and Tussey Mountain Trails in the rocky mountains of Central Pennsylvania. 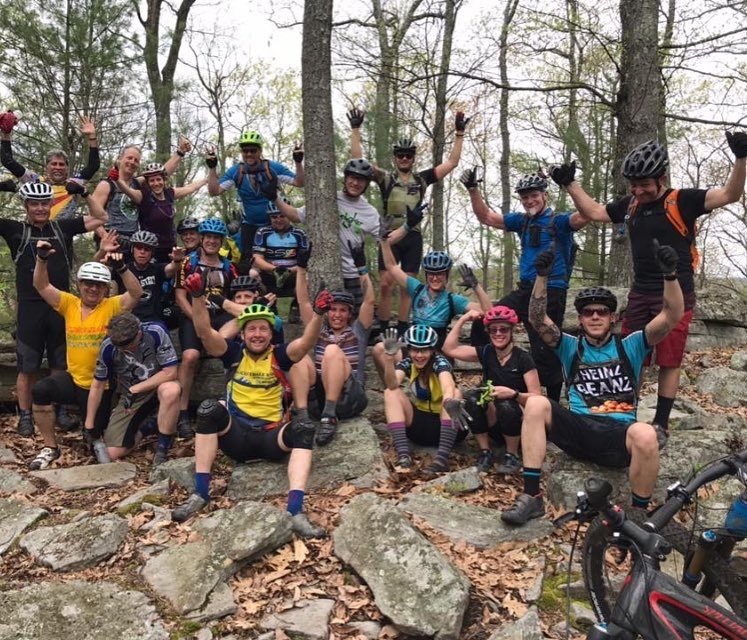 23 really good riders began the weekend rolling out of Pittsburgh at the direction of Jeff Chetlin and Josh Royston, our spirited and heckling leaders. As people came screaming into the parking lot at Tussey Mountain Ski Area, the conversation became lively and the comical sidebars of discussion ensued. Chetlin needled everyone and as the merry band of riders assembled, and rode up the first climb, the cameras came out. My friend Mike Smith, from Philly, was amazed at the quality of riders in this eclectic group including some fast couples- Jeff and Julie, Darren and MJ Allworth, Tim and Barb Girone, Dan and Mary Moore, and Dave Gault with his new gal Stephanie McCague Hughes who was our MVP. She was riding a demo bike and is a new rider. 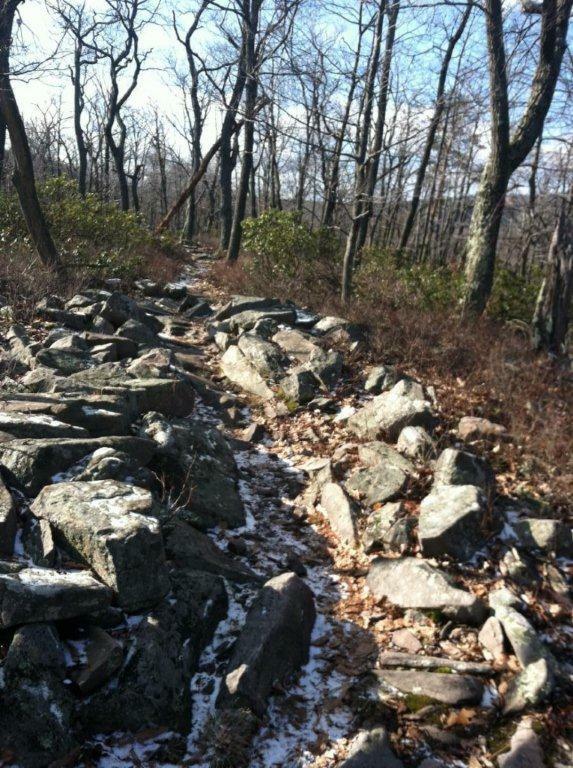 The rocks on the trails punished her but her determination to ride as much as she could impressed the veteran group. I told the guys who I was riding with that these women ate nails for breakfast. 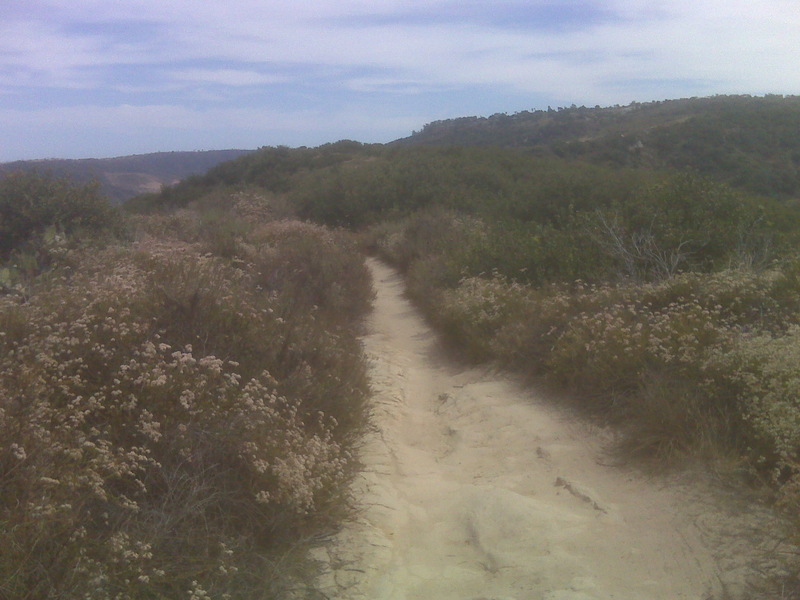 Their skill and speed over the heinous rocky sections of the trails was a sight to behold. We had two docs on the trip who can really ride the rocks with speed. Mike Smith and Syed Hyder. Along with the Chetlins and Steve Guertner who are fast riding dentists, we were set with any medical issues or if someone smashed their choppers on the boulders. The balance of the group was made up of highly skilled veteran riders- Denny Lovell, Mike Connors, JB Loughery( who gave me great visuals on how to get over some really rocky sections), John Casuccio, Matt Graver, Craig Matthews, our local guide and trailmaster from State College, and the Pittsburgh Ride Kings themselves- Bob Bannon and Garage Door Bob Kowalski. The rocks and roots really punish you but this group handled them with style. Jeff Chetlin seen here on his new IBIS dual suspension carbon rig,along with his wife Julie, seemed to relish the punishment. As with most road trips, the evenings are spent with some beers and good food and a raucous recounting of the day on the trail. 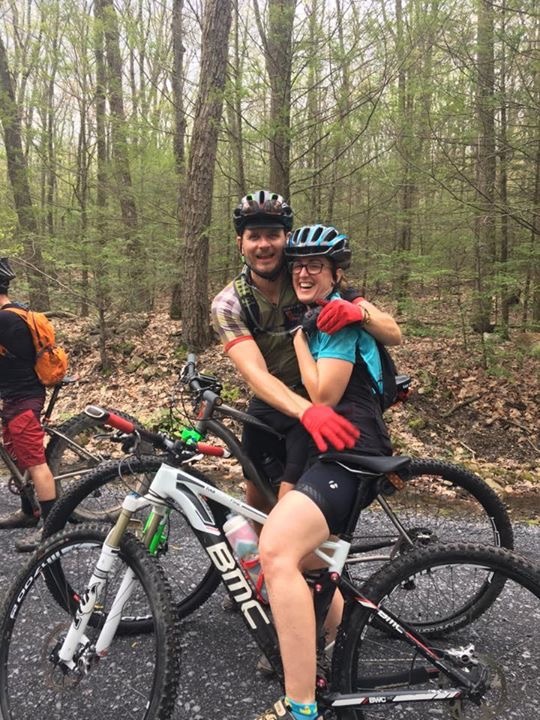 ” Did you see that endo?” ” I thought I was going to barf on that rooty, steep climb.” ” How about Mary riding that section?” Riding bikes through the lobby of the hotel had the guests and the employees all laughing at our crazy band of mountain bikers. Popping out of the elevators on bikes surprised some but made all laugh. 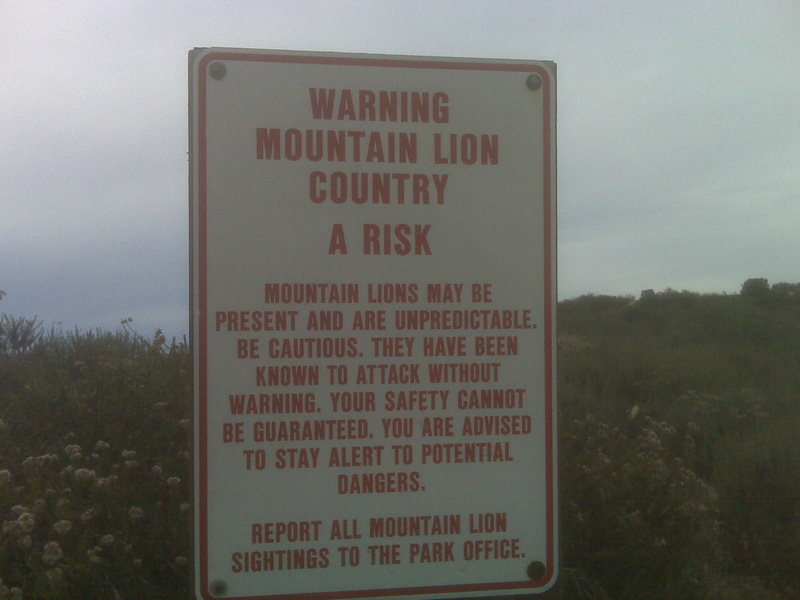 One thing about mountain bikers is that they all like to have fun. No egos, no unfriendly passing on the trails, just smiles and laughs all the way. Brice Minnigh from Bike Magazine has an interesting article in this month’s issue where he states that his riding group are the “trees that make up my forest.” A little corny but when you stop and think about the camaraderie of the people who make up a road trip, they are indeed a close clan that share a common goal. They are your forest of close friends. 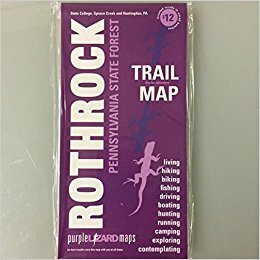 We are once again planning a fall trip to Rothrock State Forest and Cooper’s Gap when the leaves are ablaze and the weather cools to a comfortable temperature. I can hear the call to arms now in my mind. Road Trip!!! Take a look at the following video to see the difficulty of the trails but the skill level of this very talented band of riders. I was honored to be able to ride with them. Thanks for reading. Videos by Jeff Chetlin. Photos by Tim Girone and Jeff Chetlin.